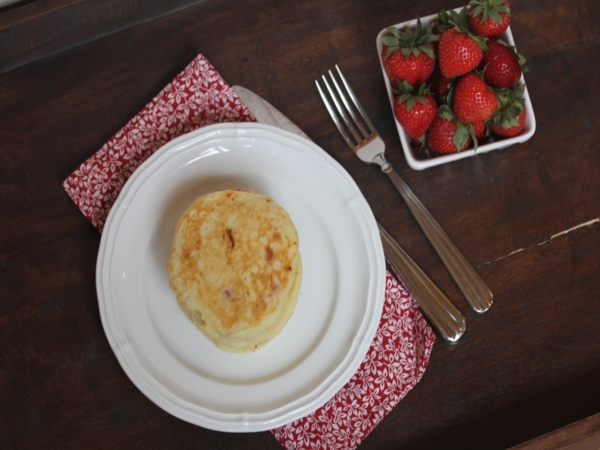 Fluffy gluten free pancakes with fresh strawberries mixed in equals a delicious summer breakfast. 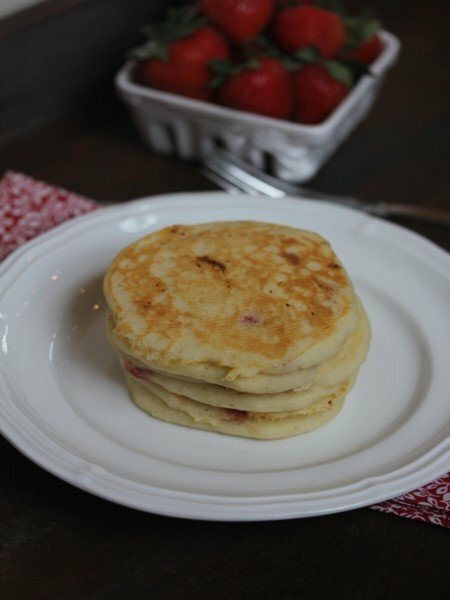 I love sharing recipes that my kids come up with and this recipe for gluten free strawberry pancakes is one of my daughter’s newest creations. We eat pancakes almost every Saturday morning for breakfast. It has become a tradition at our house and we all look forward to it each week. 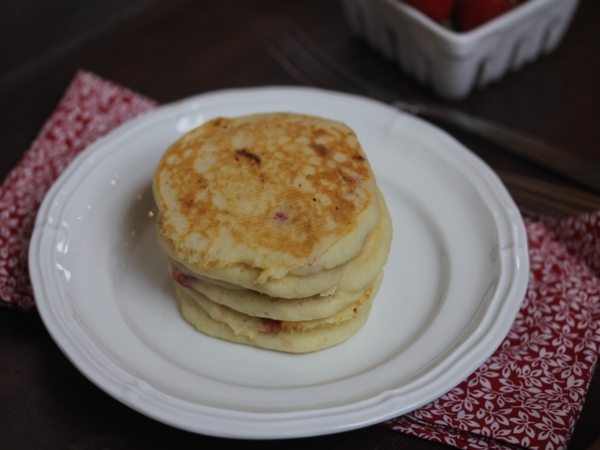 A few weeks ago my daughter helped me fix our Saturday morning pancakes and she decided to change it up a little and make strawberry pancakes. The results were delicious and perfect for summer! Today I am sharing the recipe with you. These look great!!! I can’t wait to make them. Did your daughter use sweet rice flour or normal white rice flour? Thanks! Normal rice flour for these and it worked fine. I hope you enjoy them! The xantham gum helps the texture. I have made some pancakes without it, but not this exact recipe. So that may or may not work. I have never done much substituting for eggs, but if that works for other recipes I don’t see why it would not work in these. I know many people sub the eggs in pancakes and it works fine. I hope that helps. Can you make up a large batch of this pancake mix and freeze it? Have you ever made them without the xanthum Gum? And if so how did they turn out? Thanks! You could easily make up the dry part of this ahead of time. I would not freeze the batter though. The pancakes freeze great and we do that all the time. My kids just reheat them in the toaster or microwave.